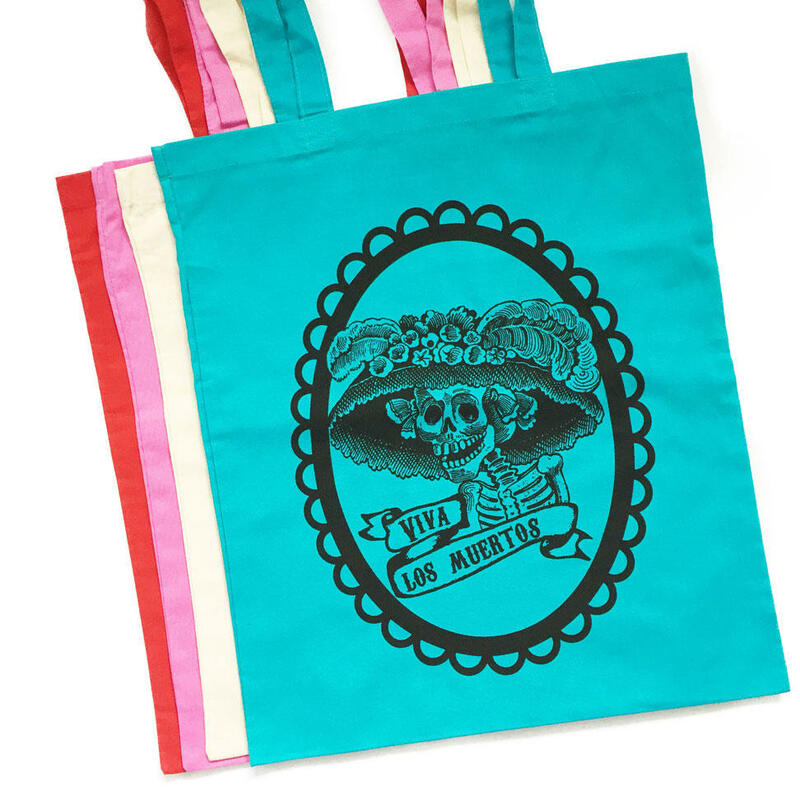 Viva los Muertos! Long live the Dead! 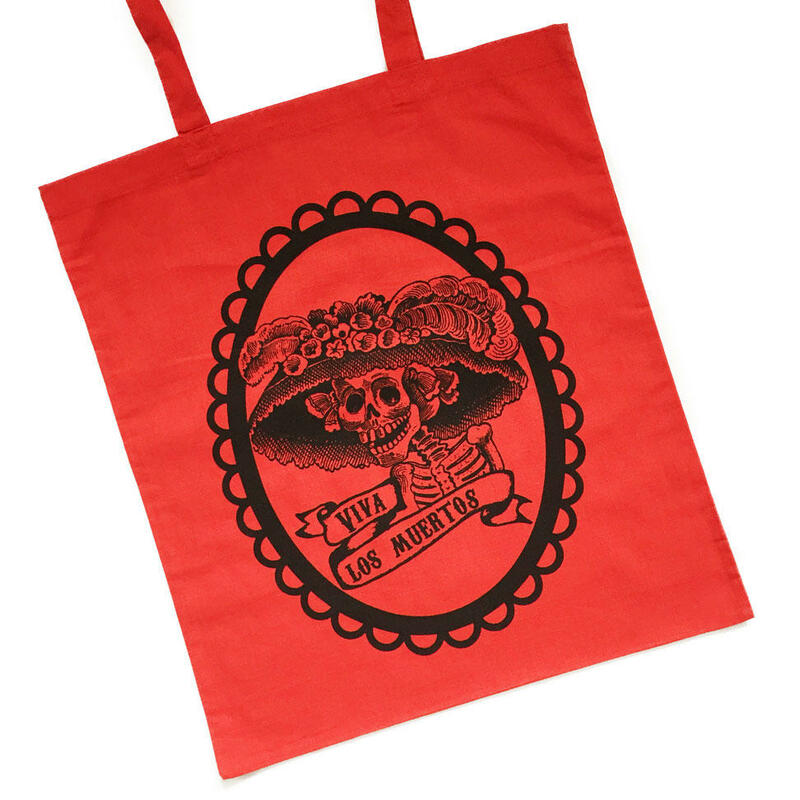 We are so pleased with our new Day of the Dead tote bags featuring the iconic image of Jose Posada's Catrina. Bags measure 37 x 42cm with long handles. 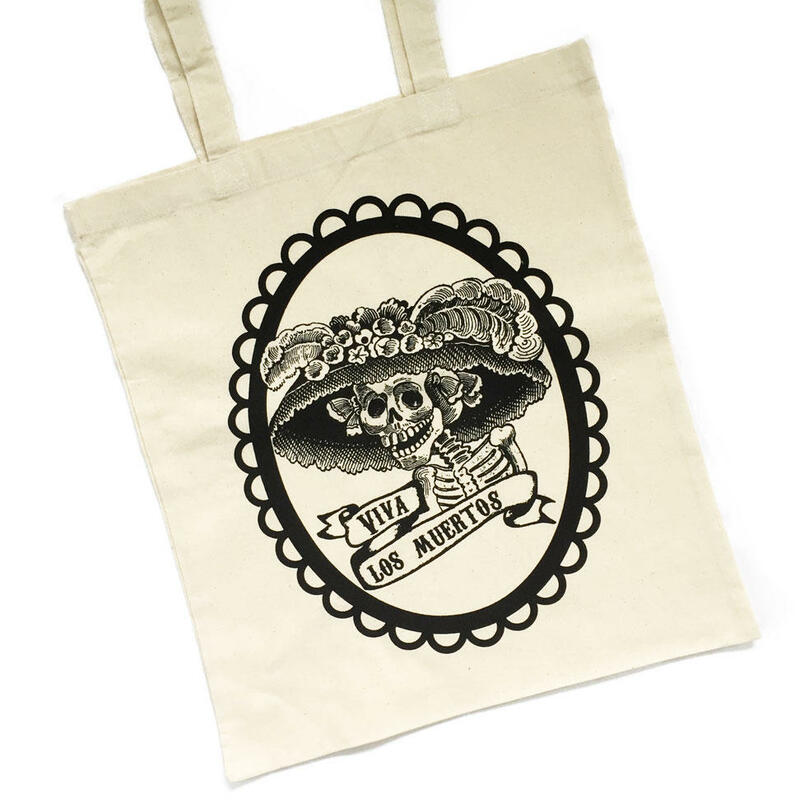 These bags are perfect for everyday use or keep one folded up in your handbag ready for the market. Quantity discounts available for 10+ pieces - please contact us for details.